Imagine an online art studio that pays you on every view of your art. Yes, it sounds different but it is true. ShowFlipper is an online art gallery, and is solving real-time problems for artists around the world. 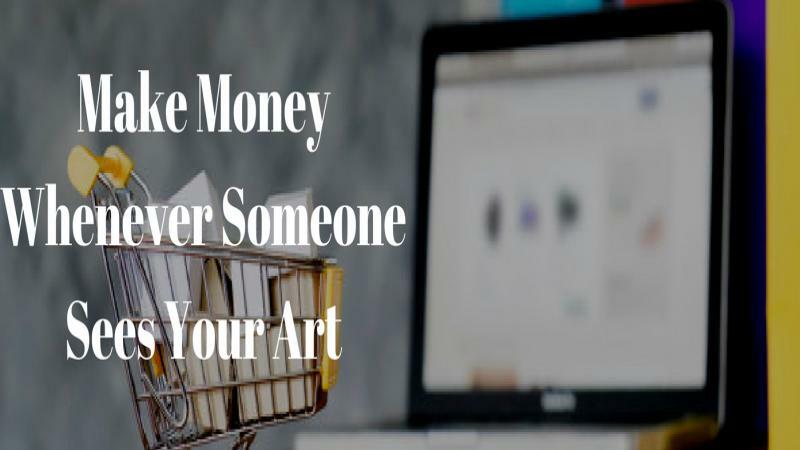 Not only it help you make money when you sell art online, it also pays you when someone sees your art. How is it possible? You may ask. Read on to know more. TRP stands for Talent Rating Points. It is an algorithm that Showflipper has implemented. It calculates the reach of your creations in your network through online and offline channels, as well as through social media. Shares: Number of shares gathered on your profile in any given frame of time. Likes and Reactions: Number of likes and reactions gathered on your profile in any given frame of time. Comments: Number of comments made on your profile in any given frame of time. Based on the average of all these four factors, a number shall be assigned which will tell how popular a particular profile is. Only unique or fresh views, shares, likes and reactions, and comments would be considered while calculating. Now you may ask how a creator will make money from views. Suppose, you have a profile with one painting and the painting gets the following views, shares, likes and reactions, and comments. Moreover, if this is not it for you, you can always participate in SF Mega Contest. It is an online contest for artists to showcase their artwork and win grand prize as cash. Here, you can win up to 1500 USD as cash. More than 400 artists from 53 countries. Are you ready to make six times more money by selling art online and jumpstart your career as an artist? Do you have any suggestions for fellow artists to sell their paintings online? Do tell us in the comments box and help the artist community.